We were clearing the birch in a different area of the heathland and we can now see the expanse of the clearings we had previously done. The cutting, herbicide spraying, dragging to the fire and burning of the birch carries on..... It was quite a foggy day with spits of rain which is in contrast to the last few times when we have been at this site. 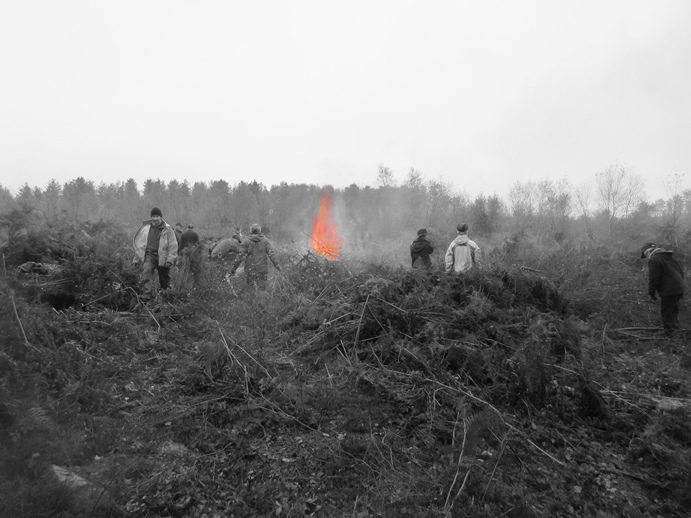 We were supposed to be doing some small, regular fires as we moved through the heathland but, as usual, a small fire usually becomes a rather large fire! This is the same image but one of our team members has been playing around with his photo imager and it looks quite impressive! 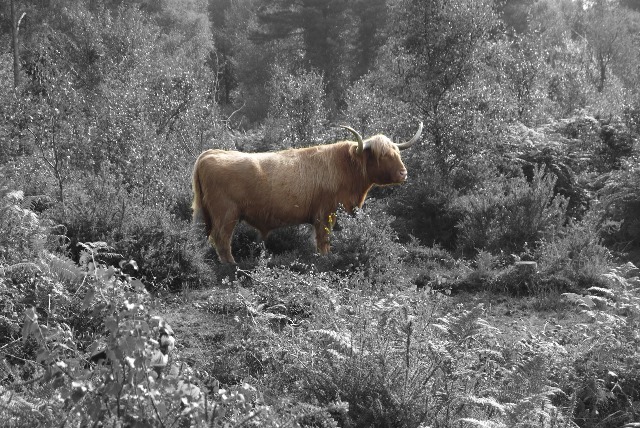 The highland cattle really stands out in this image!